We’ve seen a property we like and are thinking of making an offer. It is for sale at £286,995, what is a sensible amount to offer for the house and should we haggle down the price and how? Hi Sara & Rob, The good thing is you’ve found a property that you like, that’s the first hurdle! Buying your very first home can be extremely exciting and also a huge learning curve. The process of buying a home can include a number of different professionals and players, all working on different aspects of the transaction. From solicitors like Ellison Thomas, to mortgage brokers, sellers and bank managers. Dealing with all of these people and understanding who does what can get confusing, but when it comes to getting the best deal on your home, there are a number of people in your corner. It’s important to put in an offer that matches not just your budget, but also keeps the sellers happy and willing to sell. It’s important to put in an offer that matches not just your budget, but also keeps the sellers happy and willing to sell. Offering too little could automatically throw your offer off the table, but offering too much could push you out of your budget. So how do you know how much to offer on your new home? What should you do before making your first offer? The most important thing to do first, is to decide on a maximum budget. This will be something that you are comfortable paying for the right home, don’t set your budget to a level you are not 100% comfortable with. Once you’ve decided on a maximum budget, you can then identify your ‘sweet-spot’; the ideal price you’d like to pay. 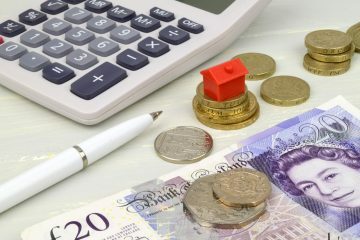 When meeting with your estate agent however, it’s best to give them a price that is a little lower than your ideal price, as estate agents like to show you properties that are a little bit out of your specified price range. This way, you’ll be able to meet in the middle. How do you know when it’s time to haggle? You’ve found the perfect home at a reasonable price and it’s time to make your first offer, how do you know when it’s time to haggle on price? Negotiating a price for a home can be a daunting task, you don’t want to offend but you also want to get the best price and be accepted. In order to gauge whether haggling is the best way forward, do research on the property. Find out when it was first listed, what price have similar properties in the area sold for and find out if the seller is eager to sell quickly. A property that has been on the market for a long time will often be the perfect candidate for haggling on price. It could mean that the seller is asking too much for the property, in which case they will be open to the best offer possible. Finding out how much similar properties have gone for will also give you a strong bargaining chip. Being able to justify your offer is always a good tactic and will show the seller that you have an idea of the true value of the property. If the seller is looking for a quick sale, make sure you understand the reasons why. In many cases, it may be they have already found a new home that they are eager to move into. Sellers looking for a quick sale will be less likely to decline a reasonable offer and you are more likely to get the best deal. How much below the asking price should you offer? When deciding on an offer, the general rule is to aim for 5-10% lower than what the seller is asking for. This will ensure that the seller is still receiving a reasonable price and you can get a good deal on your new home. The key to finding the perfect home at the best price is to do as much research as possible. Look at houses that have recently sold in the area and work out an average sale price. Talk to the professionals surrounding you and take on board their opinions, they have been through this process hundreds of times, so trust their advice and guidance. Aim for 5 – 10% lower than the asking price. Be confident. Negotiations have to start somewhere! Don’t be afraid to haggle down on price and start an open discussion with the seller. It is very rare that a buyer will go straight in and offer the exact asking price, so a seller will expect you to haggle slightly, so feel confident in getting the best deal for you. Ellison Thomas area Manchester-based solicitors, specialising in residential property and wills and probate. ET pride themselves on their down to earth and friendly approach to law, taking the time to look after their clients and ensure a swift and streamlined process, whatever the service.